Today’s question about the recording feed comes from Noel in Hudson, Florida. This is very common in a lot of the churches I have visited in the past. The church is recording their sermon or recording the worship for a video feed directly off of the main mix that is coming from the ‘Front of House’ sound board. There is one important problem that we have to solve when the music and the sermon are recorded in the same stream. The problem is that the music will record at a higher volume than any natural speech. Typically, music is performed around 95 dB and speech/sermons are normally around 70-75 dB. This accounts for a -20 dB difference on the recording between music and the sermon. In some venues, this difference can vary up to 30dB! To eliminate the recorded volume issue, I set up a recording bus on Mixbus 11 and Mixbus 12 with a ‘Post Fader’ sends preconfiguration. Since this is a ‘Post Fader’ setup, any mix changes in the house mix would also happen in the recording feed. Here is the main trick: All of the ‘music channels’ on the board (singers, drums, guitars, bass, FX Returns, etc.) are sent to the pair of busses at -10 dB. Any speech channels like Pastor, Pulpit or Announcement Mic should be sent to these busses at +5dB. Setting up the recording Mixbus this way will set full music volume and speech at close to the same volume in the recording. As we can see above, Music and Speech would be reaching the recorded mix around the same level! If we use a post-fader setup, our mix in the house will still translate to the recording, except that we have trimmed the volume down. After the first week of use, go back and listen to the recording in your car or at home. Listen for any changes between the live service and the recording. One common issue is that the drums end up NOT loud enough in the recording. Since the drums are so loud live in the room, most don’t need to put much of the drums in the PA system. In turn, this forces the drums to record at a low level. As you find these different adjustments that need to be made, make sure to write them down. Next time you are at the board, adjust the sends level of those channels up or down as needed going into Mixbus 11 & 12. Next week, repeat this process and by the 3rd Sunday, you should have the recording levels set perfectly! 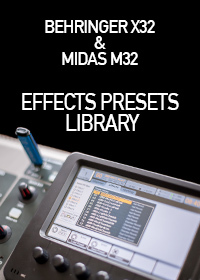 Another great part of this recording feed being on the Mixbus is that it can be sent to a matrix if you need to have volume adjustment to match an external piece of gear, or have a volume control like a Lobby or Mother’s Lounge. I suggest keeping the compression for that matrix on a ratio of 10:1, 20:1, or 100:1, as these settings will change the compressor to a limiter. You are going to have dynamics in the mix, like a snare drum, that will constantly clip a mix, the limiter will help keep those dynamics to a low for recording. Another option is to use the ‘Precision Limiter’ effect in your effects rack. You will need to tweak either the compressor or the limiter to have good audio quality, but keep the clipping to a minimum. Lastly, to really get your mix sounding like it did in the room during the live show, we want to add a bit of ‘equal-loudness contour’ adjustment to the EQ of Mixbus 11 & 12. If you haven’t heard of the ‘Fletcher-Munson Curve‘ or the ‘Equal-Loudness Contour‘, I would recommend reading up on them! In a quick summary, our ears hear frequencies in different amounts depending on the volume of the source we are listening to. The quieter the source, the less sensitive our hearing is for high and low frequencies. These curves and contours put those findings into a graphical & numerical representation. I have extrapolated that data and was able to make a similar EQ curve using the mixbus EQ of the Behringer X32 so that we can boost and cut the frequencies so that when you listen to the recording at 80dB, it will ‘sound’ the same as if you were in the room at 100dB! CLICK HERE to download a Library file that you can load onto the mixbusses to give the ‘Equal-Loudness Contour’ a spot in your system! Here are the steps to get this working! On the right fader bank, Press the button for Mixbus 9-16. Select Mixbus 11, then Press Home button to right of LCD screen. Press the first encoder knob to ‘Link’ Mixbus 11 & 12 together. Confirm popup. Tab over to ‘Config’ and then rotate the 3rd encoder knob to select ‘Post Fader’, Press the 3rd encoder knob to select Post Fader as the ‘Channel Sends Preconfiguration’. Confirm popup. With Mixbus 11 still selected, press ‘Sends on Fader’. Press ‘Sends on Fader’ to return X32 back to normal mixing mode. That’s it! 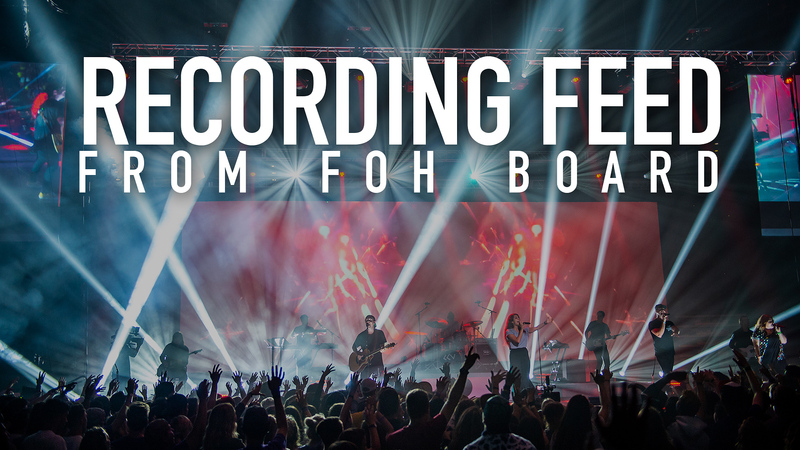 Hopefully, this will help you get your recording mix sounding great and similar to how it sounded during the service! Don’t forget to set your USB Recorder to pull from this mixbus for the stereo board recording! I am really grateful to you for this as it is something I have been puzzling over. This was very well written! Thank you! We will be incorporating this as soon as we can!